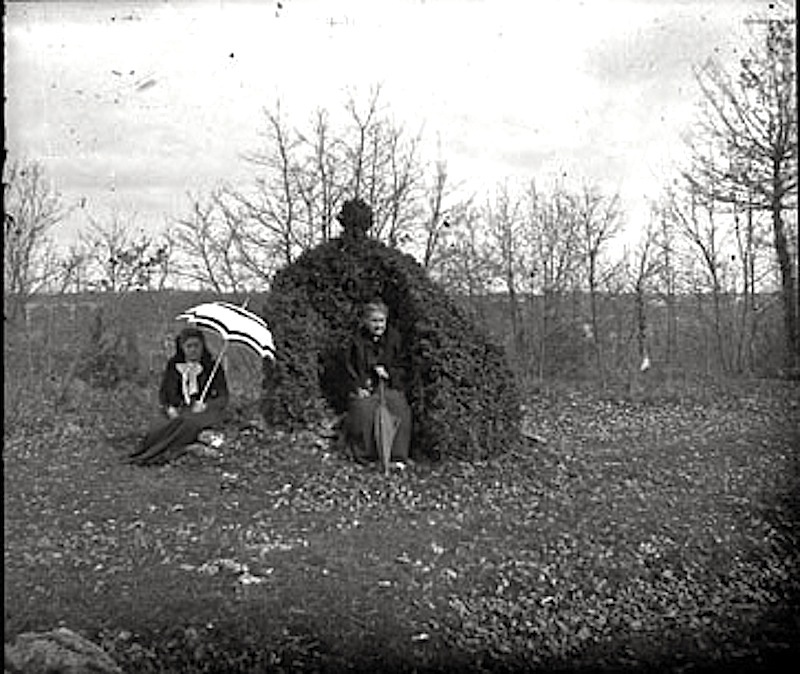 “Deux femmes assises dans un jardin” (two women sitting in a garden), France, between 1859 and 1910, by Eugène Trutat, via Bibliothèque de Toulouse Commons on flickr. On this clipped green throne, she could take in the sun and still be protected from the chilly winter or early spring breezes. of warmth, the slanted light. This seems so English to me. But what a charming idea especially before the trees have leafed out. I love the way the earth is mounded up to make the seat and the hedge curves around the mound on the right side. It’s also like something in a garden illustration or tapestry from the 1400s.